The world of horse racing is truly a global entity. All corners of the earth support the sport in one way or another. The country of Japan has been blessed with some outstanding horses in the past few decades due to a spirited and dedicated commitment to improve the quality of domestic bloodlines by enthusiastic and wealthy horsemen. Vast sums of money have been invested toward the importation of top class bloodstock into Japanese breeding, with the goal of producing world class Thoroughbreds. Today Japan is one of the major countries in breeding and racing world-wide. There is no finer example than Deep Impact, who currently is one of the top three stallions standing stud. Deep Impact comes from noble heritage on both sides of his pedigree. 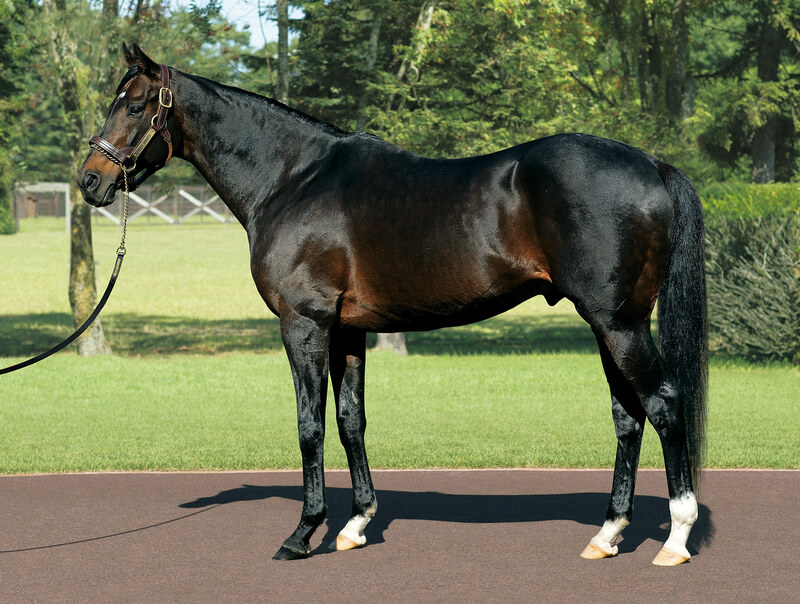 His sire is the legendary Sunday Silence, a champion in America and a record setting stallion in Japan. Sunday Silence was the one that got away from American breeders. Although he was an Eclipse Award Horse of the Year, American breeding patronage was not forthcoming when he went to stud. Subsequently Sunday Silence was sold outright to Zenya Yoshida and stood at Shadai Stallion Station in Hokkaido. What would transpire after this clever acquisition changed the fortunes of Japanese breeding. Sunday Silence, a son of leading sire Halo and thus a grandson of dynastic sire Hail To Reason, would proceed to dominate the Japanese breeding charts for an unequalled thirteen years. His get dominated the Japanese classics and won important races abroad. However the lasting influence from Sunday Silence has come from his sons who have picked up the mantle and spread the great stallion’s blood around the globe very successfully. Deep Impact is the leader of this elite squad of Sunday Silence warriors both on the track and now in the breeding shed. The dam of Deep Impact brings in one of the more cherished families in the stud book. Wind In Her Hair was a daughter of the successful Lyphard stallion Alzao, out of Burghclere by Bustino. Burghclere in turn is a daughter of Highclere, a multiple classic winner from the breeding program of Her Majesty Queen Elizabeth II. We are talking here of the historic family of Feola, the third dam of Highclere. This family boasts the likes of Round Table, Hypericum, Nashwan, Nayef, Unfuwain, Pebbles, and of more recent vintage Pulpit (sire of Tapit), Lahudood, Johannesburg (grand sire of Justify), and classic winner Ghanaati. Throughout the tail female line of Deep Impact there are grade/group one winners and classic winners at every point. Of all the notable names within this elite family, Deep Impact might be the most prominent. His racing career alone would mark him as a major contributor to the family’s heralded importance. Deep Impact won twelve of fourteen races. He swept the Japanese Triple Crown and was twice named as the country’s Horse of the Year. He won his races in breathtaking fashion, preferring to come from well back and unleash his devastating speed to zoom past the field. Such racing tactics tend to bring the fans to their feet and admire the sheer athleticism of a Thoroughbred. It also creates a strong and devoted fan following which carries over to the horse’s breeding career. Deep Impact was the toast of Japan. His popularity is gaining more followers beyond his racing days and country of origin. 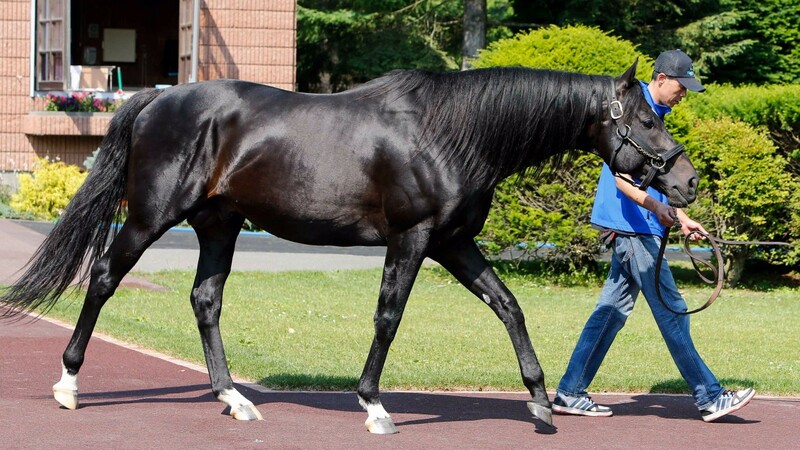 Going to stud in 2007 with a glittering racing career in the books, and an undeniably potent pedigree, Deep Impact is now an elite global stallion. He stands at Shadai where his sire established a dynasty. Deep Impact may surpass Sunday Silence when all is said and done. He is certainly on his way. The list of champions and important stakes winners he has sired so far will bear out my prediction. From the first crop comes a pair of group one Mile Championship winners in Danon Shark and Tosen Ra. Classic winner Marcellina (Oka Sho) and multi group one winner Real Impact (George Ryder Stakes, Yashuda Kinen) are also from Deep Impact’s first crop. The second crop was instrumental in launching the name of Deep Impact to the rest of the world as force to be reckoned in breeding. This crop contains the great Gentildonna who won the Japanese Filly Triple Crown, twice winning the prestigious Japan Cup, and then capturing the group one Sheema Classic in Dubai against a strong field that included the likes of Magician and Cirrus des Aigles. Gentildonna is a two time Horse of the Year and is a member of the Japan Racing Hall of Fame. Also in the second crop comes Deep Brillante (Japanese Derby), Spielberg (Tenno Sho), Joie de Vivre (Hanshin Juvenile Fillies), and Verxina (Victoria Mile x2) who was unlucky to finish second to Gentildonna in the Filly Triple Crown races. Poule d’Essai des Pouliches winner Beauty Parlour also hails from this crop of Deep Impact offspring. The victory by Beauty Parlour in a European classic was a major shot fired by Deep Impact alerting the breeding world that a new force is on the horizon, beyond his border. Third crop contained other Japanese Derby (Tokyo Yushin) winner in Kizuna and a second Oka Sho (Japanese 1000 Guineas) winner in Ayusan. From the fourth crop came another major stakes winner in France, the 2016 Prix d’Ispahan winner A Shin Hikari. This classy grey son of Deep Impact won ten of his twelve races competing in four countries. The Hong Kong Cup, a group one ten furlong race at Sha Tin, as well as group races in Ireland and his native Japan are in the totals. A further six group one winners from Deep Impact’s fourth crop include a third consecutive Oka Sho winner in Harp Star, as well as Shonan Pandora (Japan Cup), Marialite (Queen Elizabeth II Commemorative Cup), Mikki Isle (NHK Mile Cup, Mile Championship), Tosen Stardom (MacKinnon Stakes) and Satono Aladdin (Yasuda Cup). The progeny of Deep Impact were spreading the news to many top level racing jurisdictions. Reel Steel captured the group one Dubai Turf and hails from our subject’s fifth crop of foals. This win further stamped Deep Impact’s global presence as a sire of world importance, and Vivlos from the next crop defended the race for the Deep Impact team the following year. Makahliki led a Deep Impact brigade to a one-two-three finish in the 2016 Tokyo Yushun (Japanese Derby) with his nose win over Satono Diamond who was a nose in front of Dee Majesty. This result was on the heels of a previous trifector in the Satsuki Sho (Japanese 2000 Guineas) when Dee Majesty was ahead of Makahliki with Satono Diamond third. The latter won the Kikuka Sho (Japanese St.Leger equivalent) to complete a Deep Impact progeny Triple Crown. Racing fans in Britain stood and admired another of Deep Impact’s sons when Saxon Warrior earlier this year won the 2000 Guineas at Newmarket. Last year Saxon Warrior announce d his presence with a convincing victory in the Racing Post Trophy. Alsao this year Wagnerian became the fourth son of Deep Impact to win the Tokyo Yushun and Study of Man captured the Prix du Jockey Club at Chantilly. The above list is just some of the highlights so far in the stud career of Deep Impact. Now at the age of sixteen, this phenomenon of a Thoroughbred is just warming up. Breeders from around the world are sending some of their best mares to the court of Deep Impact. There are six sons of his currently on the stallion roster at Shadai standing beside their famous father. These six are Deep Brillante, Satono Aladdin, Real Impact, Mikki Isle, Kizuna and Spielberg, group one winners all. Saxon Warrior is to be retired and will likely stand at Coolmore, Ireland, although that has yet to be confirmed. Deep Impact is not a large horse. He stands 16.0 hands, has a rich dark bay coat with three white feet and small half moon on his forehead. He possessed blinding speed with a quick accelerator and has passed on his speed and class to his get in extraordinary numbers. Genetically Deep Impact has few, if any, faults. He is genetic royalty. Not only has he quickly established himself as a world leading sire, he is also offering top tier breeders a chance to tap into a bloodline that is consistently rich. Deep Impact nicks well with an assortment of female lines, but does seem to do above average with Storm Cat line mares. I hope breeders here in North America are taking note. Yes he is now very expensive, especially considering the cost to send a mare to him in Japan, but in my opinion he is worth going the extra to acquire his services. The yearling sales confirm this with record prices achieved not only in Japan, but also for the few Deep Impact yearlings that sell outside of his native country. I think it is time to bring the Sunday Silence blood, through Deep Impact, back to the west and establish a viable tail male line here. We need more outcross in the upper echelon of breeding. Well folks here it is, and it has been proven that Deep Impact works well with the upper bloodlines seen in North America. We here in North America tend to get narrowly focused on bloodlines within our geographic region. Two of the greatest breeders in the twentieth century were E.P. Taylor and A.B. “Bull” Hancock. These men searched the globe for top quality bloodstock and imported many of the building blocks that lead to many of our cherished Thoroughbreds. They were not the only breeders doing this, but they were the most consistently successful with this practice. Bringing in Deep Impact blood would be great place to focus such importation. Deep Impact has, pun intended, made a deep impact in the breeding world. His stud fee is currently listed as “Upon Application”, which essentially means that he will only receive elite mares to his court. This may seem rather harsh, but Deep Impact has earned his status. In my humble opinion Deep Impact is currently one of the top six stallions in service today. Galileo, Dubawi, Tapit, War Front and Medaglia d’Oro would round out my top six. Some may argue with this top six but no one would deny the inclusion of Deep Impact in the list. There is no denying however the significance of Deep Impact today, or deny that he will undoubtedly continue to make his mark at the top of the breeding charts. We are privy to watching a true legend during his ascent to immortality. The “Made In Japan” label takes on new meaning. Absolutely we could use Deep Impact in our breeding here. I gree with your assessment. Our bloodlines are getting thinner. Need more diversity. Time we realize we are falling behind.